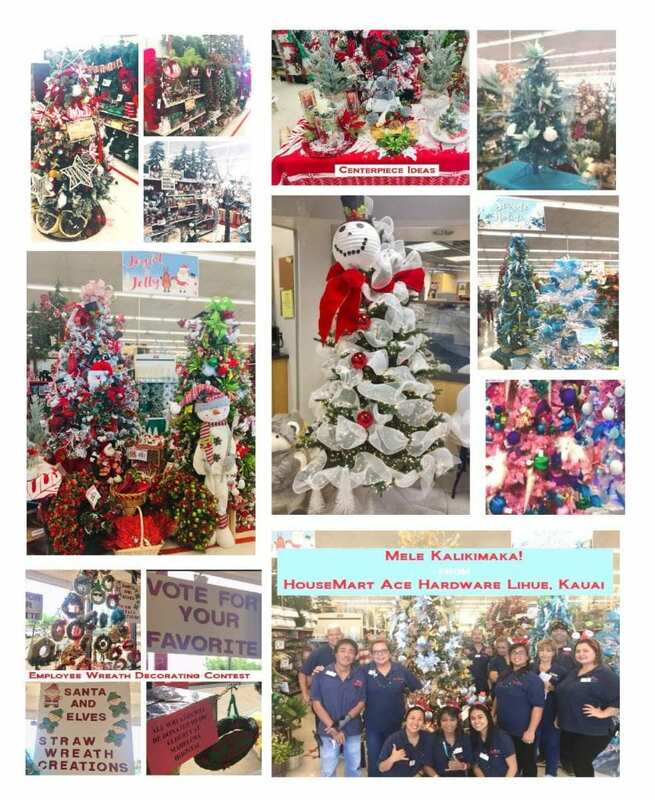 Lihue Ace Hardware in TOP 15 Coolest Christmas Contest! Exciting news for the Ace Hardware team in Lihue! The Top 15 Finalists for Ace’s 3rd annual Coolest Christmas Contest are here! These local retailers have the chance to win $7,500 for their local Children’s Miracle Network Hospital and enjoy the bragging rights of being named the Coolest Christmas store! (1) 3RD Place Winner will receive – Will receive in $2,500 donation to in their name to their local children’s Miracle Network Hospital. (1)2nd Place Winner will receive – Will receive in $5,000 donation to in their name to their local children’s Miracle Network Hospital. (1)1st Place Winner will receive – Will receive in $7,500 donation to in their name to their local children’s Miracle Network Hospital. First place store will also receive the Coolest Christmas Store Trophy. Please share throughout social media and let’s show everyone how much Hawaii supports Kapiolani Medical Center, the only Children’s Miracle Network Hospital in all of Hawaii.